1. Three Indians have made it to a new list of 100 notable tattoo artists from around the globe. The World Atlas of Tattoo, published by Yale University Press, features Nagaland’s Mo Naga, Kolkata’s Abhinandan “Obi” Basu and Delhi’s Manjeet Singh amongst the who’s who of tattoo art all over the world. 2. The Union Cabinet has approved the setting up of Indian Sign Language Research and Training Centre (ISLRTC) as a Society under the Societies Registration Act, 1860. The ISLRTC will be under the aegis of the Department of Empowerment of Persons with Disabilities, Ministry of Social Justice & Empowerment. It shall be located initially at the Pt. Deendayal Upadhyaya Institute for the Physically Handicapped, New Delhi. 3. The World Bank’s investment arm International Finance Corporation (IFC) has invested $145 million (around Rs 950 crore) in six of the 10 companies that have been granted small finance bank licences with a collective client base of nine million. IFCs investments in Equitas, Ujjivan, Suryoday, Utkarsh, AU Financiers and Janalakshmi were made through debt and equity mainly during 2010-2012. IFC’s shareholding is in the range of 10-15 per cent because the institution generally does not take more than 20 per cent stake in the companies it invests in. 4. Information technology major Infosys has won a Rs 1,400-crore contract from GST Network (GST-N) to build the IT system so that the goods and services tax (GST) regime is rolled out on schedule. Navin Kumar has been appointed as Chairman of GST-N. The company is supposed to lay the IT-backbone to implement the GST regime. 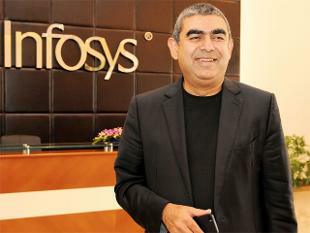 Once the backbone is ready, Infosys will operate it for five years. 5. States have broadly agreed to ensure compliance with the proposed Environmental Guidelines for construction projects in urban areas at the Workshop on ‘Climate Change Mitigation in Urban Sector’ organized by the Ministry of Urban Development in New Delhi on September 21, 2015. The Workshop was organized for green construction in view of the fact that building sector consumes 40% of electricity generated in the country, 30% of raw materials and 20% each of water and land resources besides generating 30% of solid waste and 20% of effluents. 6. Syriza leader Alexis Tsipras stormed back into office on 21 September with an unexpectedly decisive election victory claiming a clear mandate to steer Greece's battered economy to recovery. The vote ensured Europe's most outspoken leftist leader would remain Greece's dominant political figure, despite having been abandoned by party radicals last month after he caved in to demands for austerity to win a bailout from the euro zone. 7. Ahead of Prime Minister Narendra Modi’s visit to the U.S., the Cabinet Committee on Security (CCS) has cleared a multi-billion dollar deal for 22 Apache attack helicopters and 15 Chinook heavy-lift choppers with American aviation giant Boeing. 8. According to a report titled "International Migration Outlook 2015" which was released on 22 September, one in ten new immigrants to developed countries in 2013 was from China. Immigration flows from India were comparatively low; despite being the next largest country, India made up only 4.4 per cent of new migrants and was in fourth position after Poland and Romania. This report was released by Organisation for Economic Cooperation and Development’s (OECD). Germany is now second only to the United States in the number of migrants it receives. 9. Banks having a capital adequacy ratio of at least 10 per cent, besides being profitable in the last fiscal, do not require prior approval from the Reserve Bank of India (RBI) for equity investments in financial institutions, stock exchanges, depositories and the like in case the investment is less than 10 per cent of the investee company’s equity. Additionally, the RBI said, the bank’s stake in the investee, along with those of its subsidiaries or joint ventures, should not exceed 20 per cent. 10. The Asian Development Bank (ADB) has lowered growth projections for India for the current fiscal to 7.4 per cent, from the 7.8 per cent earlier due to weak monsoon, poor external demand and inability of the government to push economic reforms in Parliament. It has retained the consumer inflation forecast for India at 4 per cent (+/- 0.2 per cent).